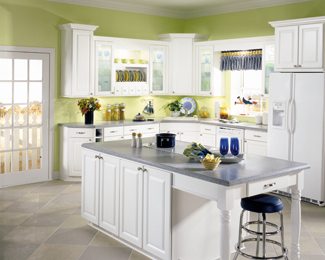 Periodically, remove dust from cabinets with asoft lint-free cloth. The cloth may be slightly dampened with water or a spray type dust remover. Wood and laminate cabinet surfaces may be polished once every few months with a high quality, non-oil based furniture polish. Clean spills immediately. Use a clean cloth and mild soap if necessary. Wipe dry with a soft cloth. Do not use bleach, detergents, citrus or ammonia based cleaners, steel wool, soap pads or abrasive cleaners on your cabinets. These harsh abrasives will mar the wood finish. Additionally, the manufacturer recommends that you avoid the use of paste wax and polishes that contain silicone; the wax build up is difficult to remove and will leave a residue that attracts dust. 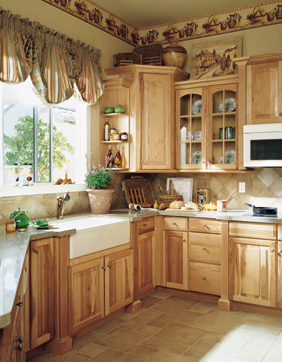 In addition the interior surfaces of the cabinets should be cleaned periodically.